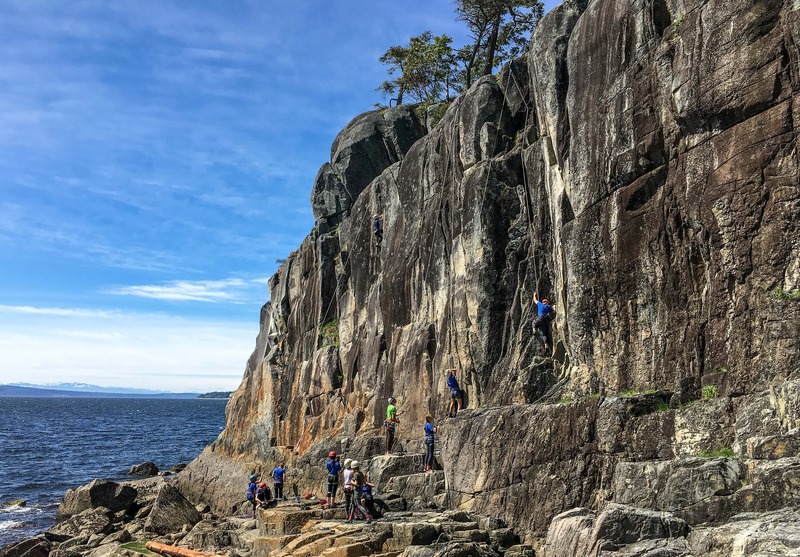 Unlike the fairly uniform and well maintained anchors provided at climbing gyms, outdoor crags can offer a wide variety of anchor points, or nothing at all. And of course different situations will require different gear. That being said, most areas are set-up with a pair of bolts that can be used to build either a top-rope or lead anchor. 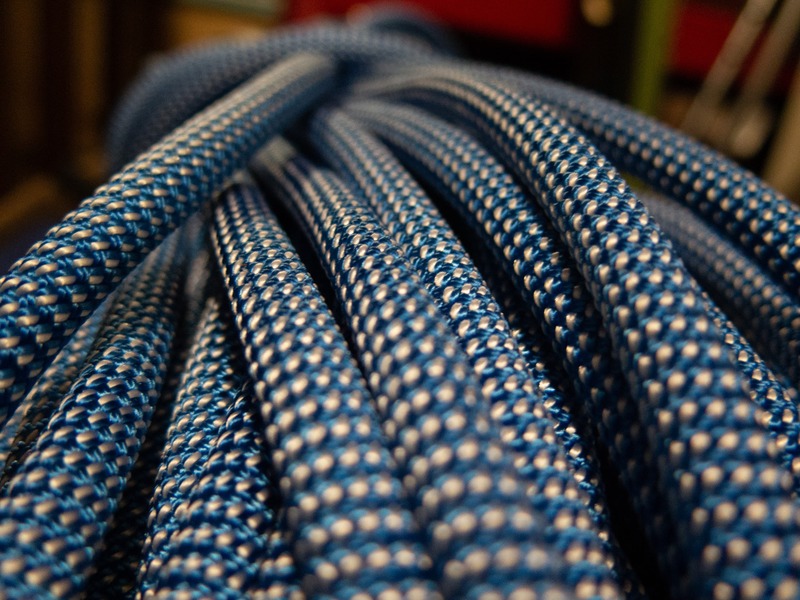 This article will review different equipment options for a few different top rope anchors. 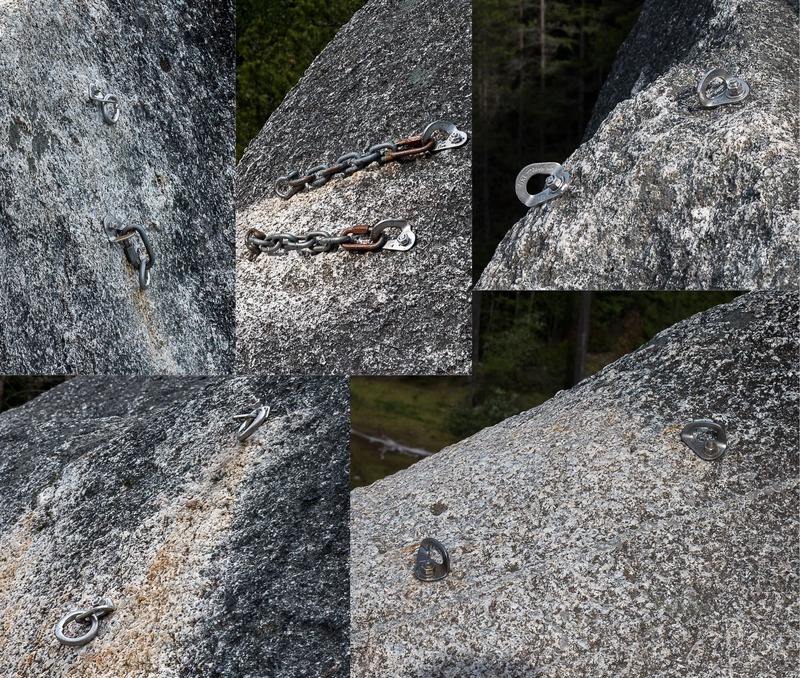 A variety of Top Rope anchor points at a local Squamish Crag. 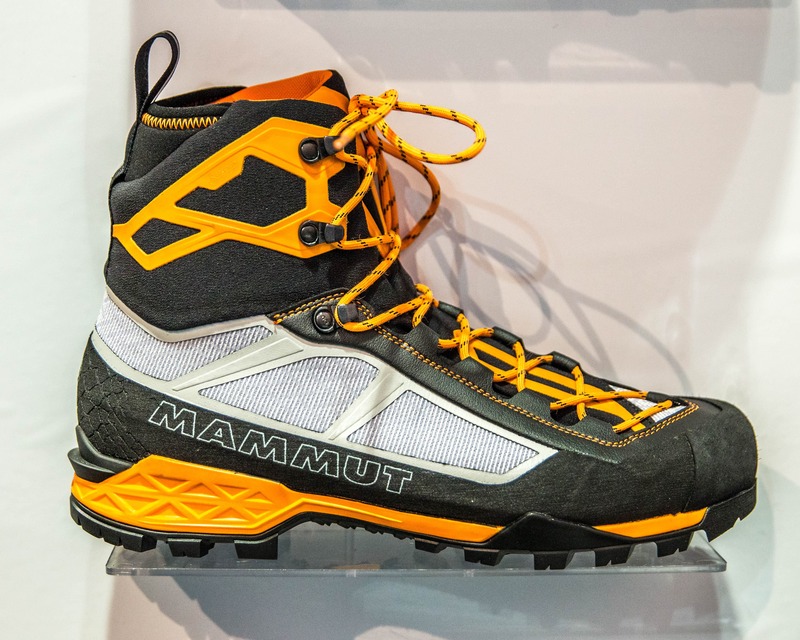 In this context a TR or Top Rope anchor will refer to an anchor set-up to allow several people climb a pitch of rock. They can be set-up by walking around to the top of the cliff or on lead. As the anchor will be used several times or more and can’t be easily monitored from the ground it’s a good idea to build in some extra security. But before we go too far a short disclaimer: there are many different ways to build climbing anchors. My focus here is not to teach anchor types, applications or how to asses them for safety. 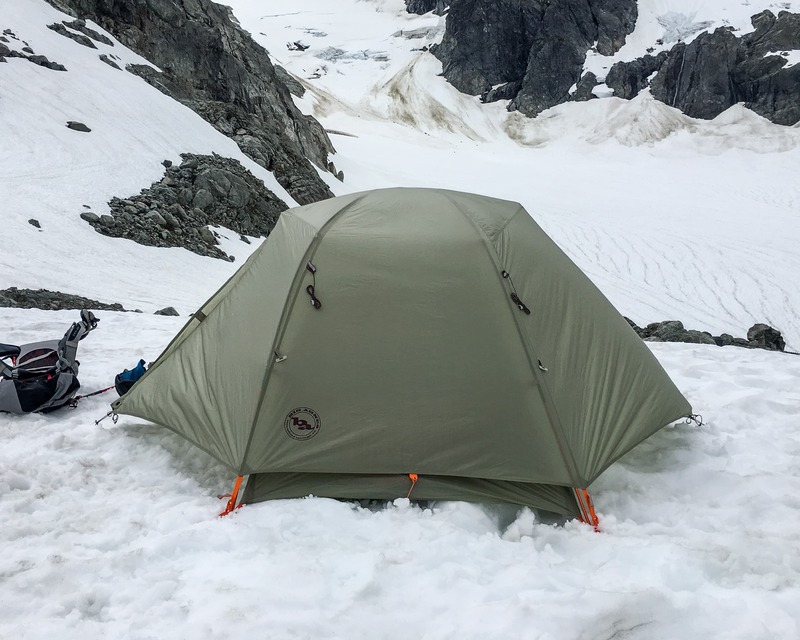 If that is what you’re interested in you’ll want to take a course from an accredited guide (I offer a few courses if you’re in the Squamish area: http://blacksheepadventuresports.com/courses-training/). 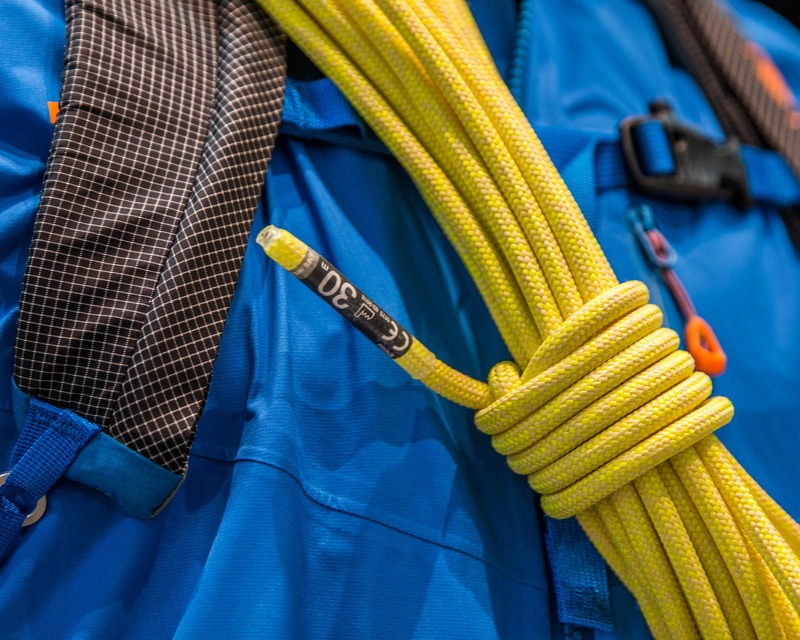 The three main components of a TR anchor are: Sling (or accessory cord), Master Point Carabiner(s) & Bolt Carabiners. Each of these components is discussed below. 5m long piece of 7mm diameter accessory cord. 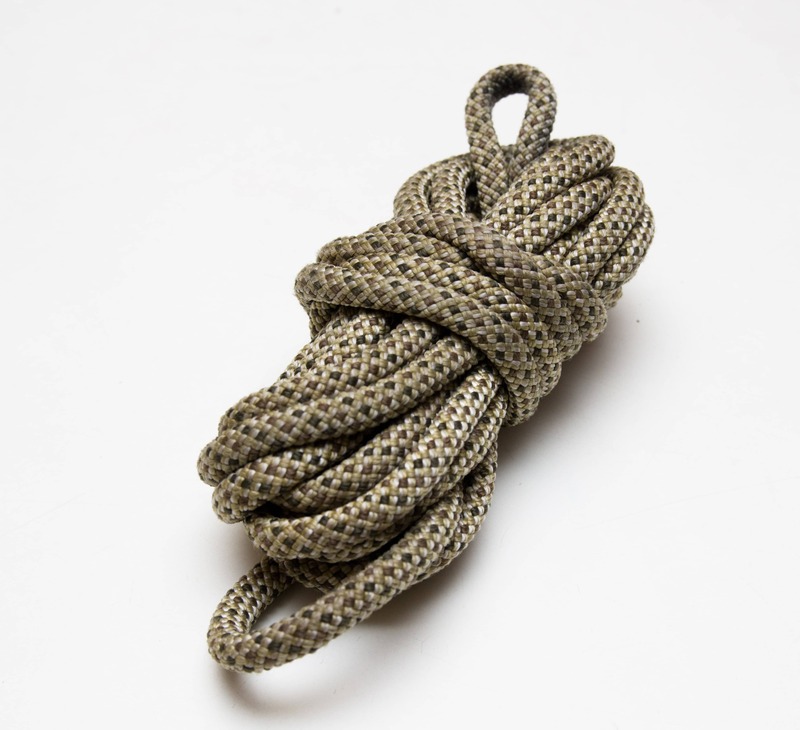 There are basically three main options for the sling part of the anchor: A Dyneema* sewn sling, a nylon sewn sling or nylon accessory cord (many other options exist, these are just the main ones). I personally prefer sewn slings to accessory cord as they’re easier to use and less bulky than the equivalent strength cord. 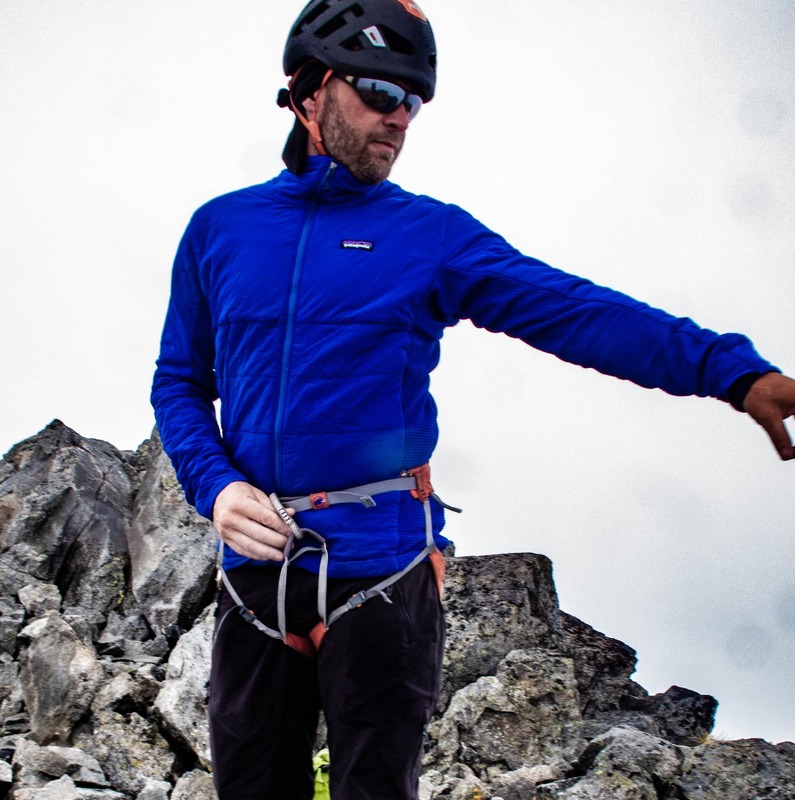 While there are a lot of differences between Dyneema* and nylon sewn slings, from a very basic and functional standpoint the Dyneema slings are less bulky and lighter but more expensive. They can also be harder to untie. Both have the same 22KN load rating and will achieve the goal so it’s really a preference thing. 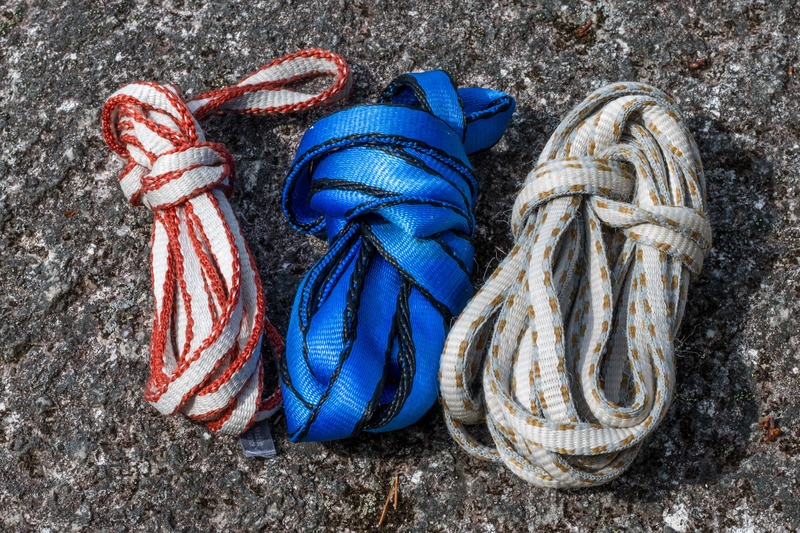 From left to right: 120cm Dyneema sling, 120cm nylon sling and a 240cm Dyneema sling. Now sling length is another aspect to consider. Slings commonly come in intervals of 60cm and can be referred to as such: single length = 60cm, double length = 120cm, etc. A double length sling is often sufficient to construct a good anchor from a pair of bolts. However a triple length sling can offer a bit more versatility and help in situations where the bolts are farther apart, back from the edge, etc. Ideally you will get both and so be able to use one or the other depending on the situation. * A brand name for Ultra-High Molecular Weight Polyethylene. Another common brand name is Spectra. 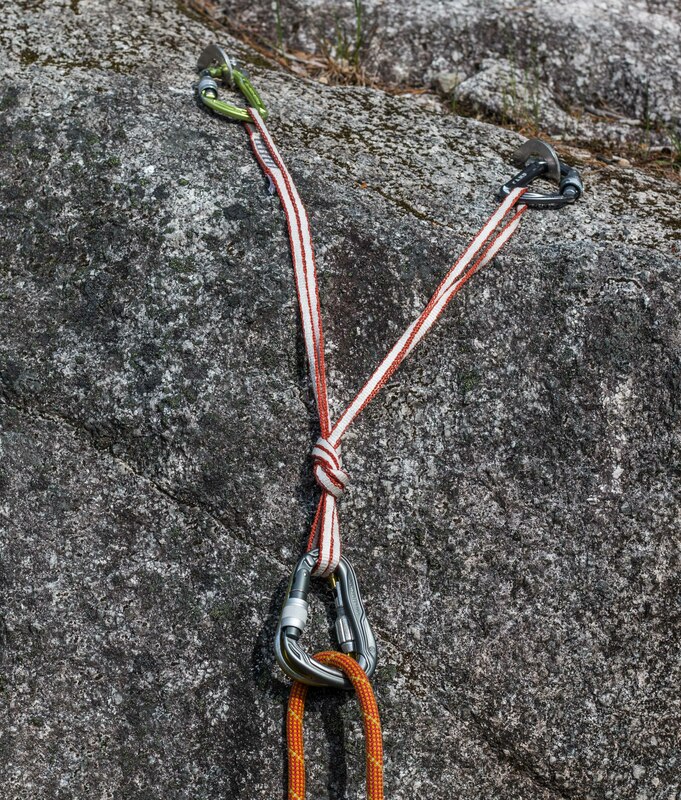 Carabiners are used at two different locations on an anchor: at the Master Point and at the bolts. 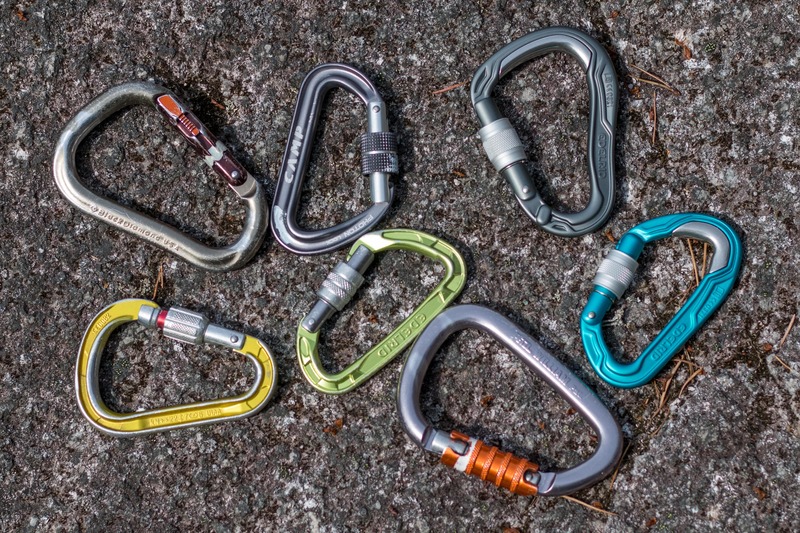 Different types of carabiners are ideally used at the different locations. 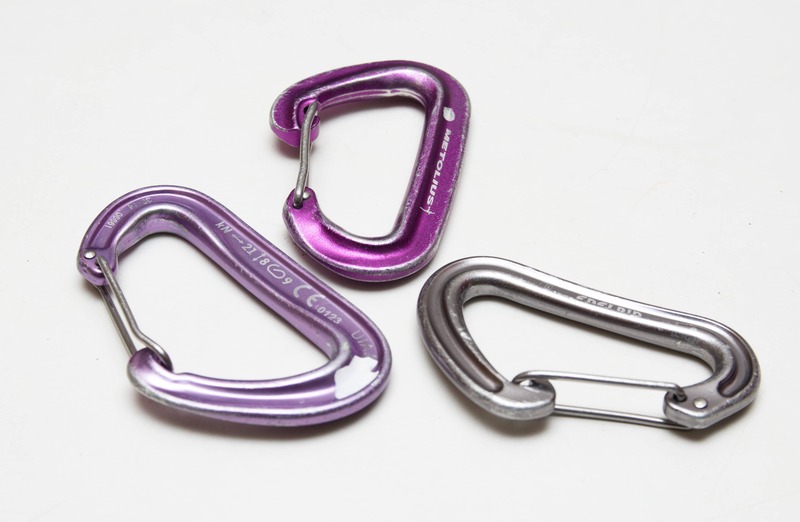 A D shape locking or non-locking carabiner is ideal at the bolts. 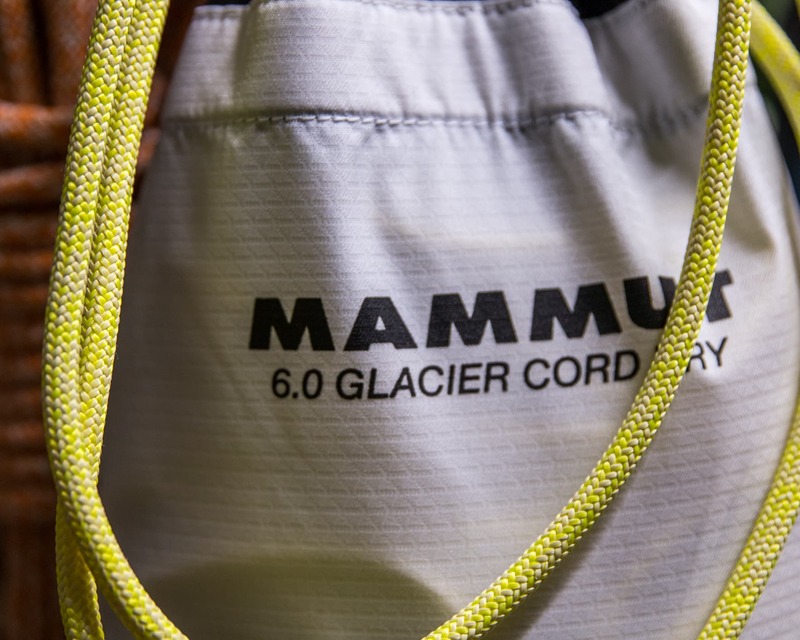 Small and lightweight the D shape encourages loading in the strongest orientation of the carabiner, a win-win. A non-locking carabiner works fine at the bolts as nothing is moving (ie. 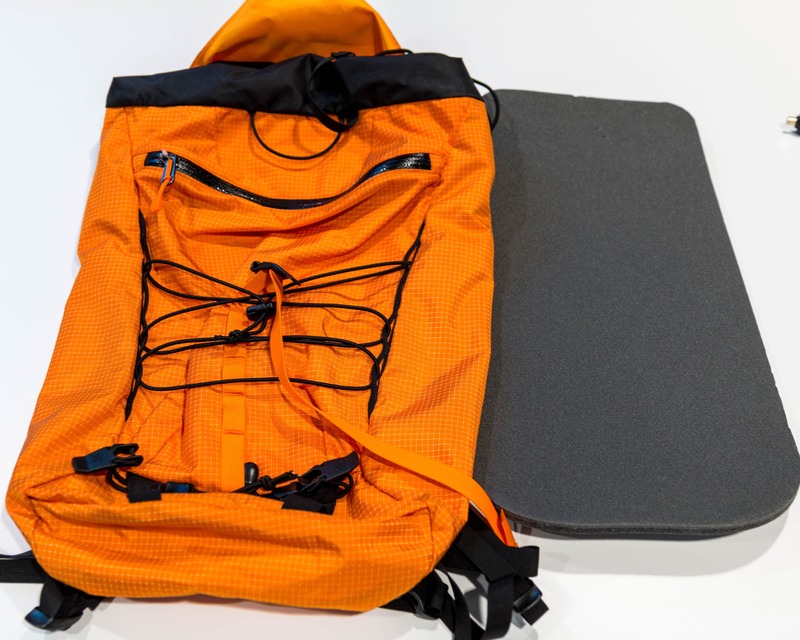 no moving rope) but it doesn’t cost much in terms of money or additional weight to get lightweight locking ‘biners if you want some added security. 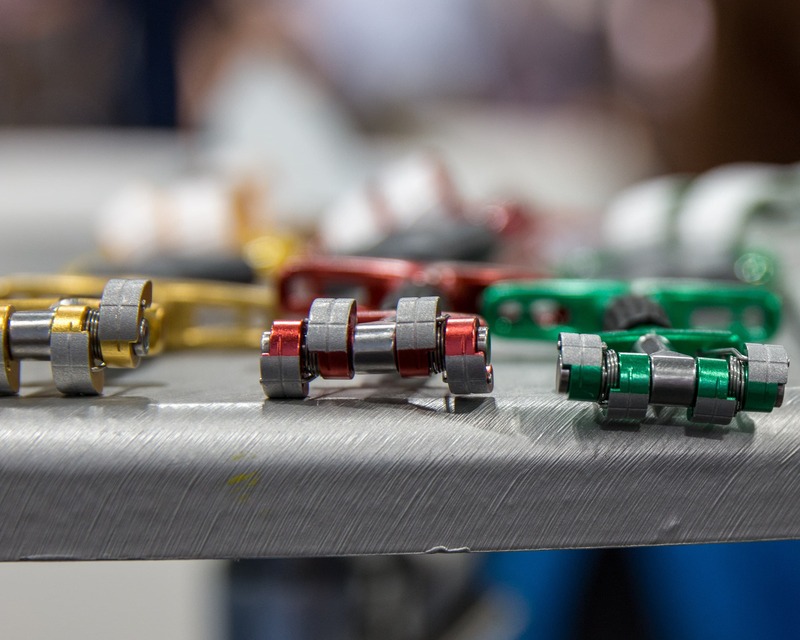 Some lightweight, non-locking carabiner options. 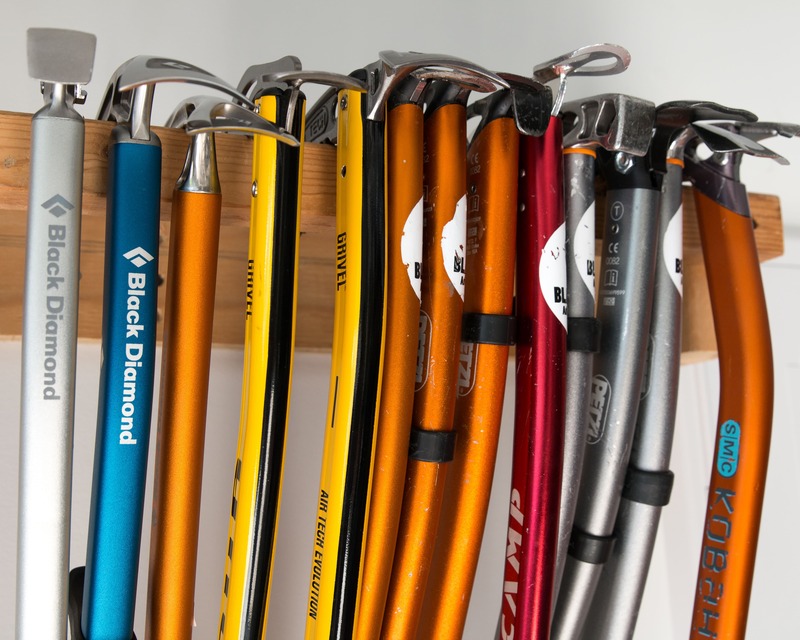 HMS carabiners work best at the master point. 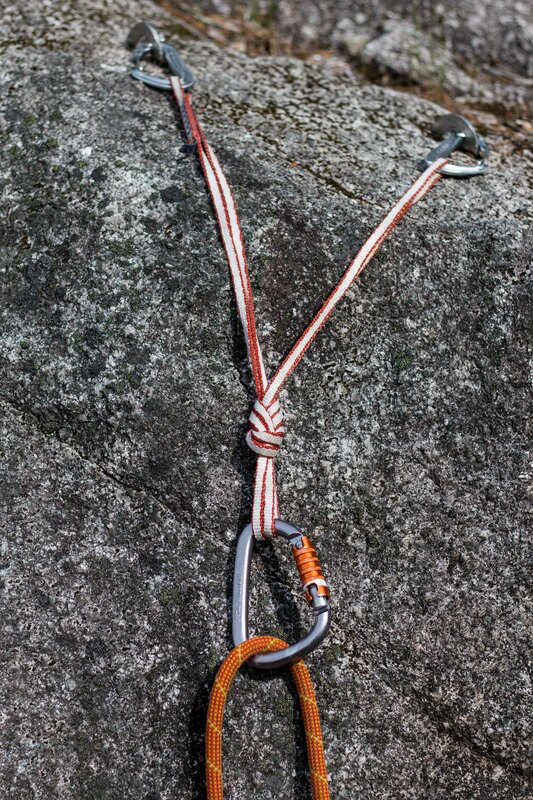 This type of carabiner has a narrow end for the anchor sling and a wide end for the moving rope. If using a single HMS carabiner it’s best to grab one with a triple-action gate as the movement of the rope and master point could cause a screw gate to become unlocked. Another option is to utilize 2 screwgate carabiners with opposing gates. 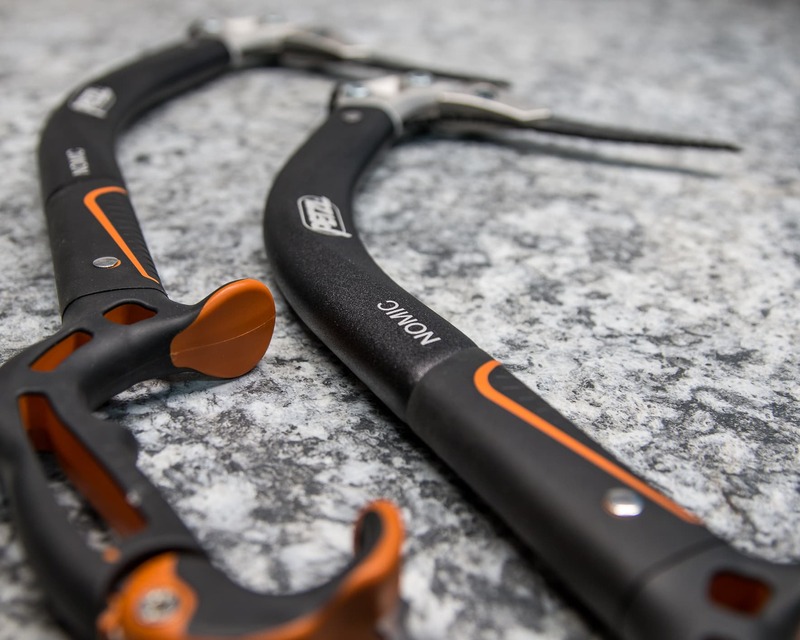 Having two carabiners protects against cross-loading and strange rock/carabiner loading scenarios while the opposing gates deals with issues associated with the gates unscrewing/unlocking themselves with movement. An assortment of locking carabiners, some HMS and some D shaped. 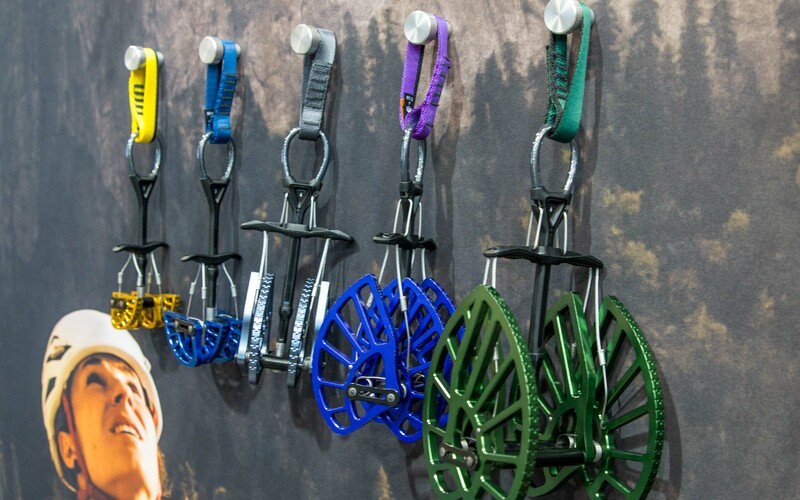 The 4 larger ‘biners with a wide top are the HMS carabiners. They can also be distinguished by an H in a circle stamped or printed on the side as shown on the below photo. A more bomber TR anchor. Of course these aren’t the only options or set-ups but rather just a couple to give you an idea of the gear involved. Edelrid Bulletproof HMS Locking Carabiner: Designed for top roping with a stainless steel insert on the wide end to reduce wear. Petzl Attache HMS Locking Carabiner: A very versatile and lightweight HMS carabiner option with a red mark to warn you when it’s not locked. Camp Photon Lock (D): One of my favorite small lockers. It’s light (44g), inexpensive and has a crisp action and smooth lock. 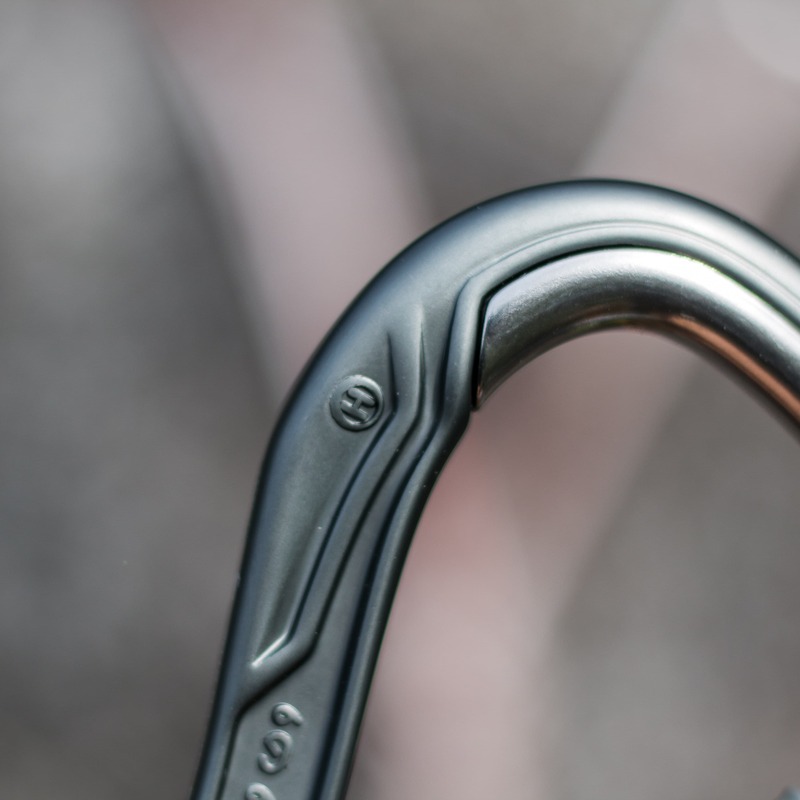 Edelrid Pure Screw (D): A solid locking carabiner option that’s also lightweight (43g). 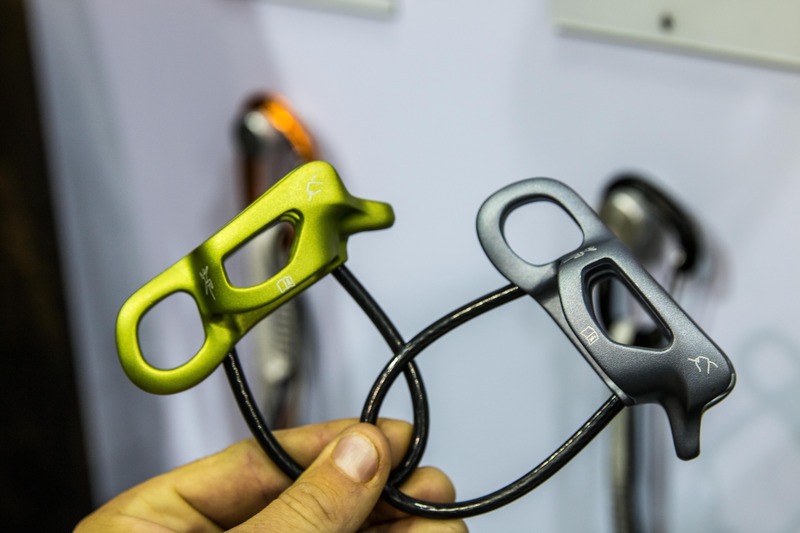 Camp Nano 22: This non-locking carabiner is super light (22g) and inexpensive. Good value in general and a great non-locking option for anchor bolts. 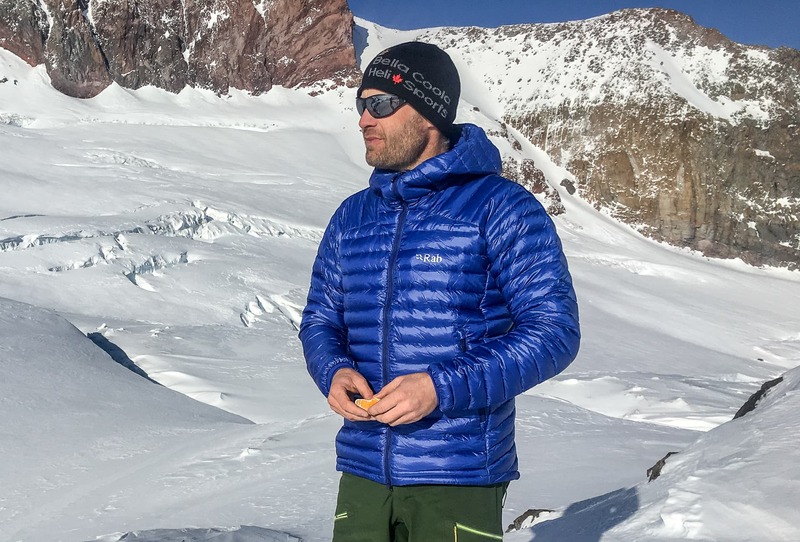 If you’re still unsure of the gear you need for your local area a good place to start is the gear shop. 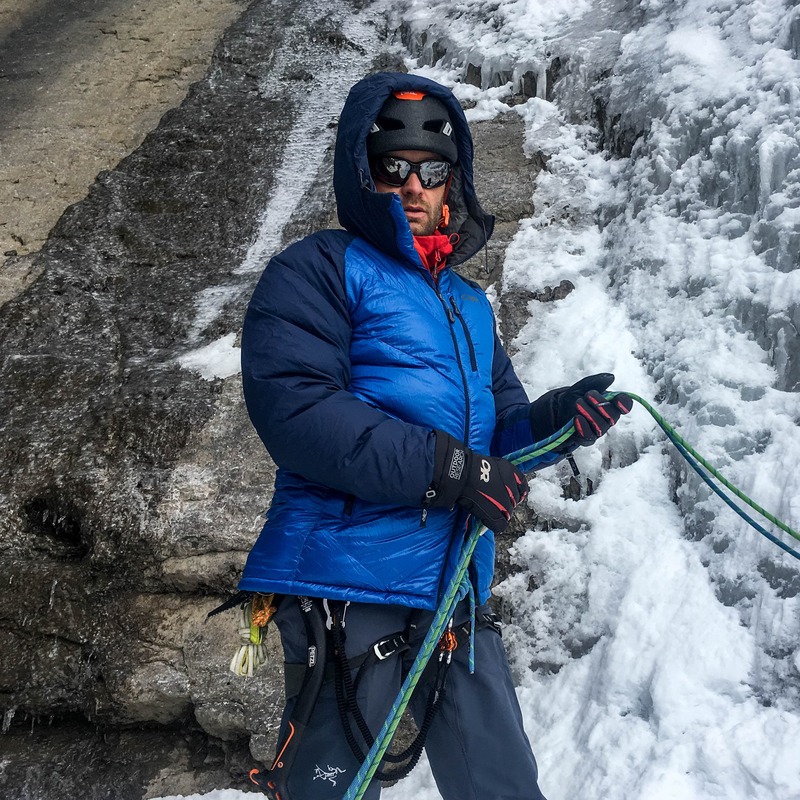 Small, locally owned climbing stores are typically staffed by avid climbers with lots of local beta. If you have any specific questions feel free to shoot me an email.